If your home’s garage door isn’t working correctly it’s not only a hassle, but can also be a risk to your home and belongings. You need to be able to rely on your door to close when you leave, or else your stored items and the entrance to your household may be open to strangers. Aside from the safety issues, the situation also can lead to your door refusing to work altogether. Instead, let our technicians take care of everything! Our company offers a variety of services such as emergency and same day work, so no matter how pressing the problem, we’ll be able to lend you a hand ASAP. Even if it’s not pressing enough to warrant these more immediate services, you can still rest assured that we’ll be out swiftly at a time that works best for your schedule. We always arrive on time and will get straight to work so you won’t be delayed from your busy schedule for long. We’ve been working on garage doors just like yours for a long time, so we’ll be able to get to the bottom of the issue in no time at all! We use the highest quality parts and equipment so you can be certain that our services will last you for years to come. No shoddy, quick fixes that only address a symptom, just hard work that will thoroughly address the problem. Our professionals would be happy to provide a range of maintenance services to help keep your door in the best shape possible for years to come! Tension adjustments will make certain that your door is properly balanced and will close correctly to keep your home and belongings safe. All the more important for safety are the sensors that tell the door to stop and reverse if something, or someone, is under it. We can provide thorough testing to confirm they’re working perfectly! A complete system examination, as well as part lubrication, can also be provided for you in no time. From tracks to panels, our professionals can repair or replace whatever parts your garage door may need to get it working like new again! Rollers and tracks work together to allow your door to move up and down swiftly, so it’s important to keep them in good shape. The panels not only affect the appearance, but function too! Accidents may happen, or the wear and tear from daily use may take its toll on these various components of your home’s door. Whatever the cause, we’ll be able to fix it up for you and ensure that your door is working smoothly again. 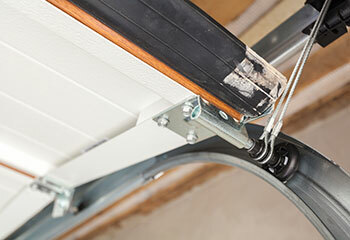 It’s time to ensure that your home is making a fantastic first impression by getting a brand-new garage door installed! 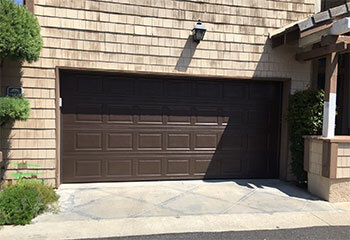 Your garage door makes up a big portion of the front of your home, so if it looks drab and boring, it can affect the beauty of your home overall. We work with all of the major manufacturers like Windsor and Sears, so no matter what door you’re interested in, we can install it for you easily. After safely removing the original door from the system, we’ll attach the new one and test to be certain that it’s working perfectly. After years of use, it’s not surprising that your opener may be starting to break down and need attention. If you notice issues such as your door reversing suddenly when it’s closing, a lot of noise while it’s moving, or it jerking more than usual, these can all be signs that your opener could use some repairs. Our experts will inspect it and the related components such as the remotes and wall panels to get the bottom of what’s causing the issue in order to properly fix it. Whether the circuit board needs repairs, or the motor replaced, we can help. 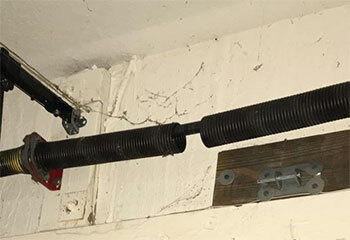 If you’ve noticed that your door is struggling to open and close correctly, including your door seeming to fall down, this indicates that you have a problem with the springs. The springs of your door are what lift the weight of it so it can open and close easily, which is why it tends to be obvious if one has broken or is otherwise troubled. Torsion or extension, whatever type of spring you have, we can help! 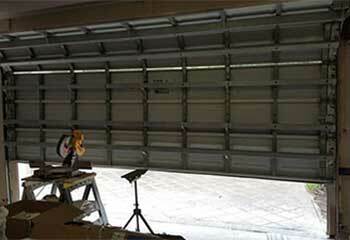 We can replace or adjust them right away and get your door back to working smoothly again. Learn all about our latest projects in the area here below! The customer’s door had a puzzling problem. Click here to learn how our team solved it. We helped Mr. Riley find a new door for his new home. Click here for more information. One of Mrs. Mikulski garage door rollers broke so she gave us a call. Find out more. We can help you with any spring related issues just like we helped this customer. Click her to learn more. Thank you guys so much for all your help. The new opener your technician installed is wonderful. I'm very happy I called you. The technician from your company really helped me a lot. I haven't had a single issue with my door ever since he came over and fixed the recurring problem with my opener. I'm glad I listened to my neighbor when he recommended your company. Your technician really made a great impression, and it took him no time at all to fix the problem with my door. Thank you!